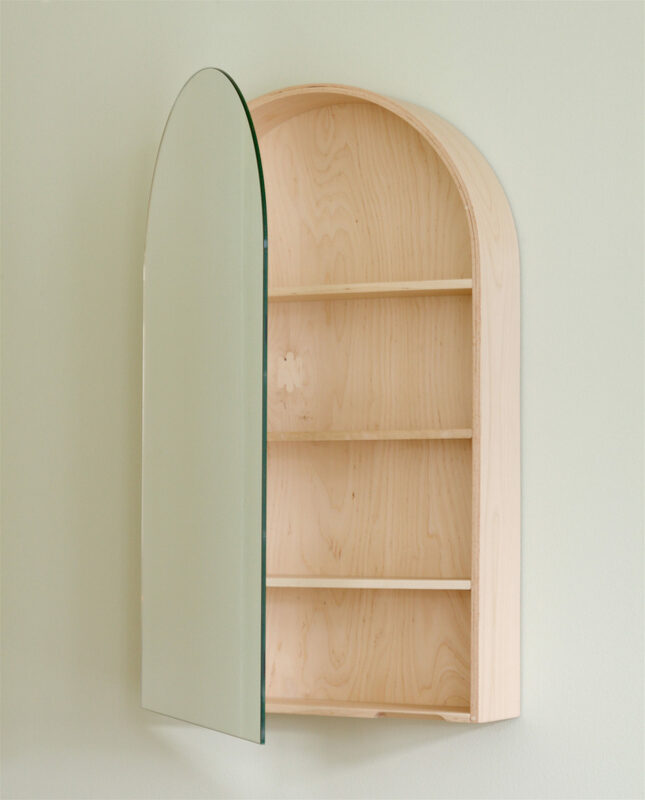 This beautiful arched mirror cabinet designed by Julia Hertell from Mer Architects Oy is the newest addition to our Lokal Kollektion. 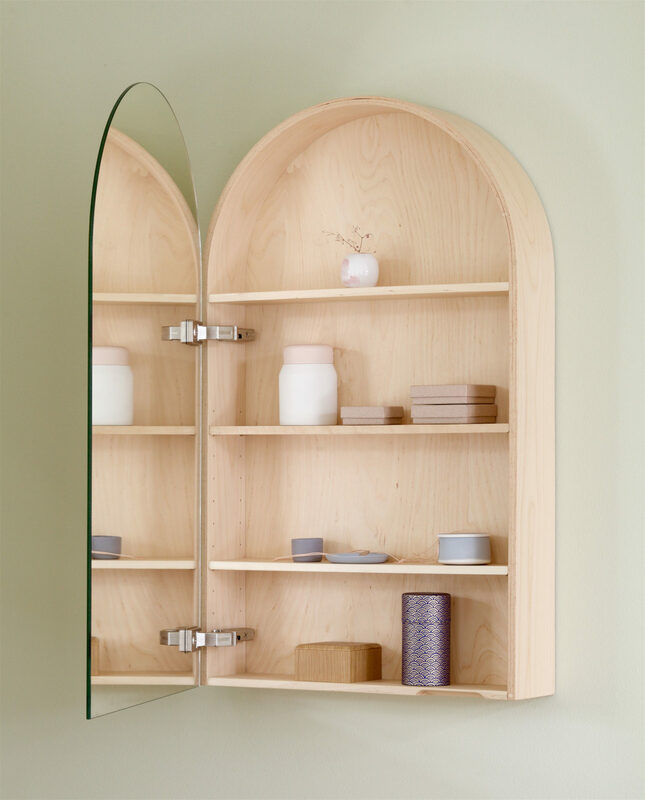 The cabinet has a waxed birch plywood frame with a double-sided mirror, and is equipped with three adjustable shelves. 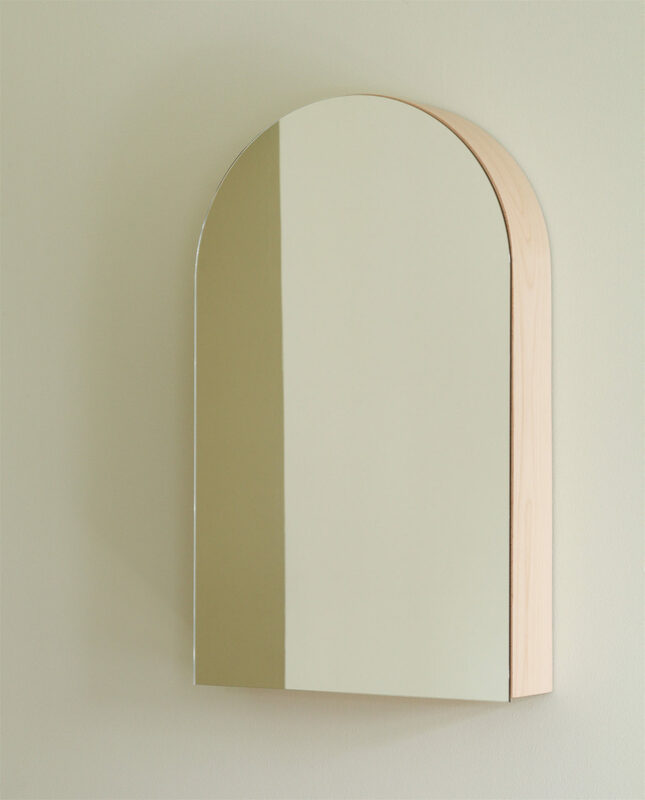 Send Order Request Thank you #, order request sent!